Have a great holiday and vacation! Friday of this week was full of festivity! 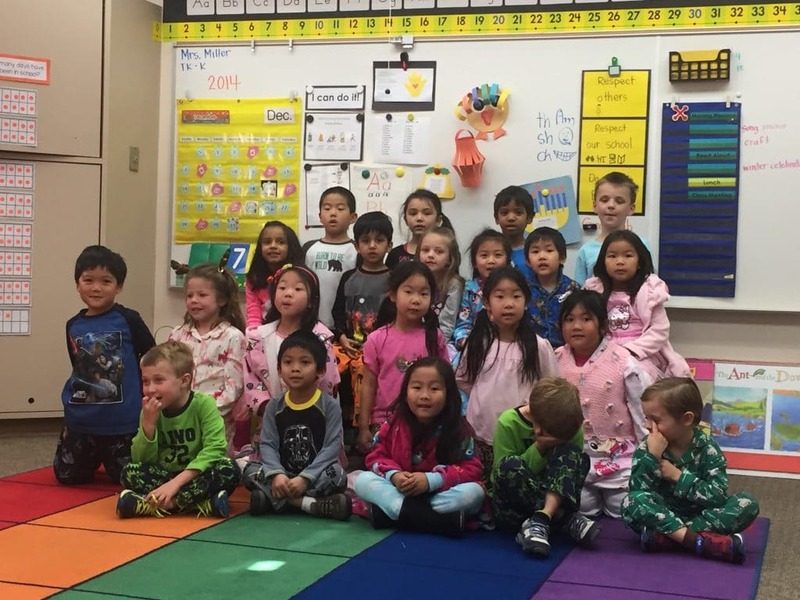 This was a school-wide Pajama Day! In addition to wearing our sleeping attire, we had our Winter Celebration. At our celebration we sang, Frosty the Snowman, read Snowmen at Night, and wrote about what we think our Snowmen would do at night. 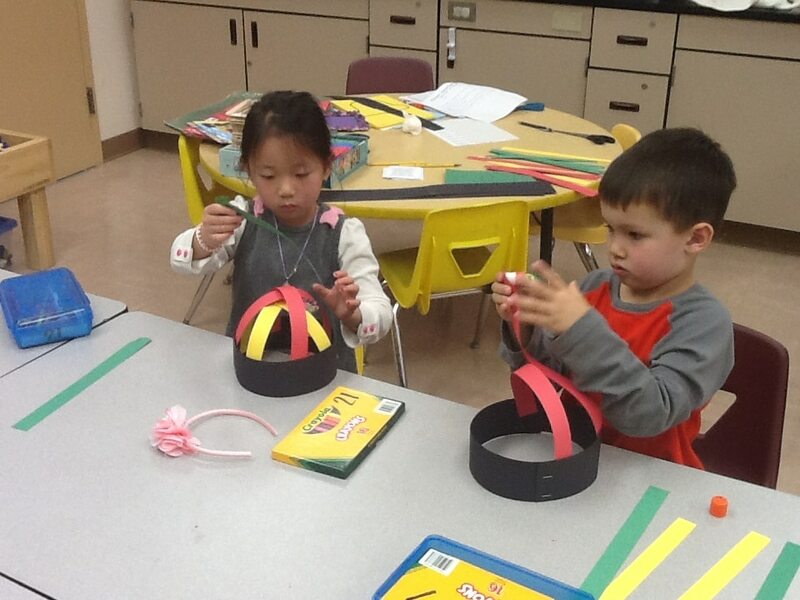 After writing, we made a snowman sticker craft and had a snack with our families! Thank you for joining us! When learning about Ramadan, Mr. Taquie came in and spoke with us all about the Ramadan holiday! We learned some of the traditions that are held for the 3 days and the celebration of Eid at the end of the 3 days! 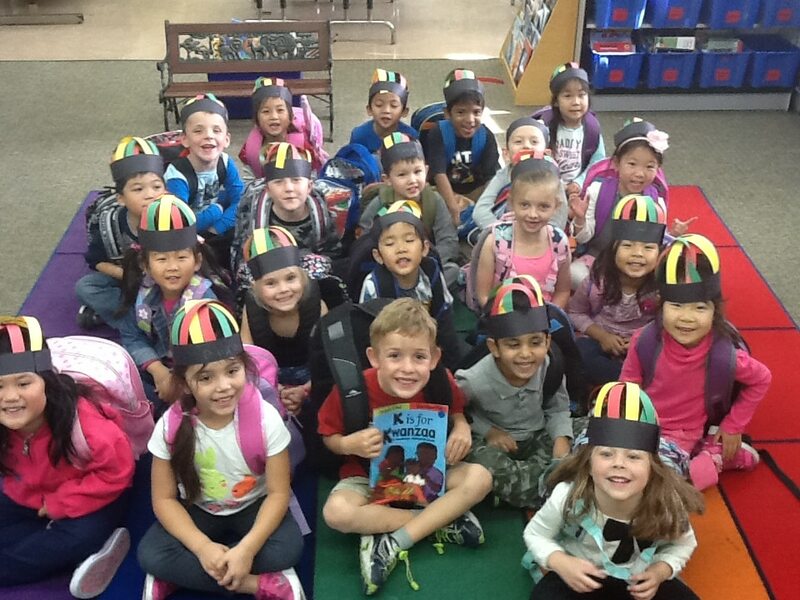 In whole, we learned that many people, families and cultures celebrate many different holidays in many different ways! In each of these holidays there is celebrating and sharing time with loved ones! May you have a blessed and special holiday season! 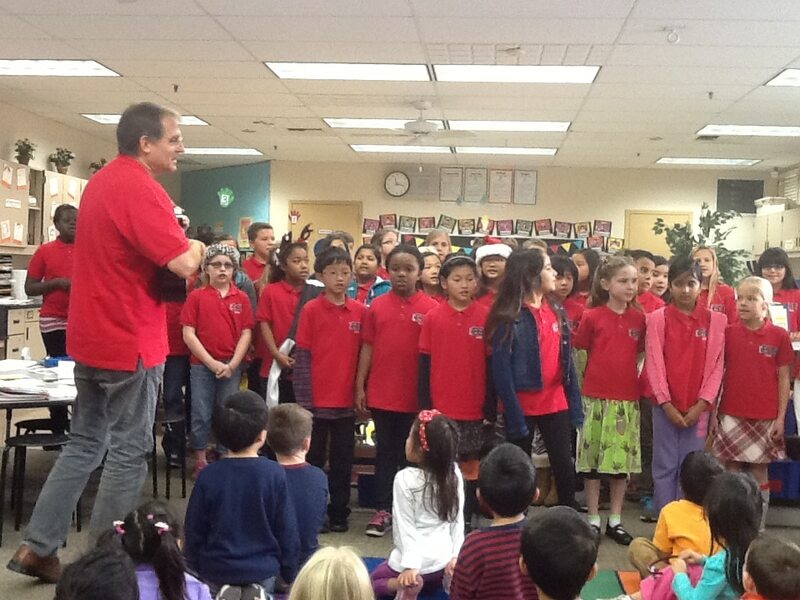 On Thursday, the EBS Choir (led by Mr. Vatsek on the guitar) came into our class and a Christmas carol! We loved hearing the beautiful voices and faces! What a treat! The 206 kids were amazed! My mom/dad forgot my ______. We are working a lot on the independence traits in our classroom. Many students forget folders, snack, reading logs, book bags, library books, etc during our school week. These are mistakes which makes us all equal parts of 206 that live up to one of our saying….” We are mistake-makers!” We are working to take responsibility for our own things and though our parents are there to help remind us, it is ultimately our things and our responsibility. We are working to put away our own folders, backpacks, lunches/snacks, and when we forget we can say….”I forgot my ____,” rather than my mom/dad forgot my _____. Don’t be surprised, if you child stops you from helping them put away or carry their items. When the students struggle, we are learning that struggle is NOT bad or negative, in actuality is a good thing, even though it may cause a little discomfort and doubt. Some examples of struggle may be putting on a jacket, making a craft, writing a word, cutting out a shape, solving a math problem, etc. The more comfortable we are with struggle the more we will be persevering problem-solvers for all things! These are all inter-connected to support your child and build their growth-mindset we spoke about at Back to School Night in September! I work with the children to try and try and if that isn’t working to think of another way to solve the problem. If that solution involves asking for help, I will make sure I teach them the method I used and have them give it a try after watching. 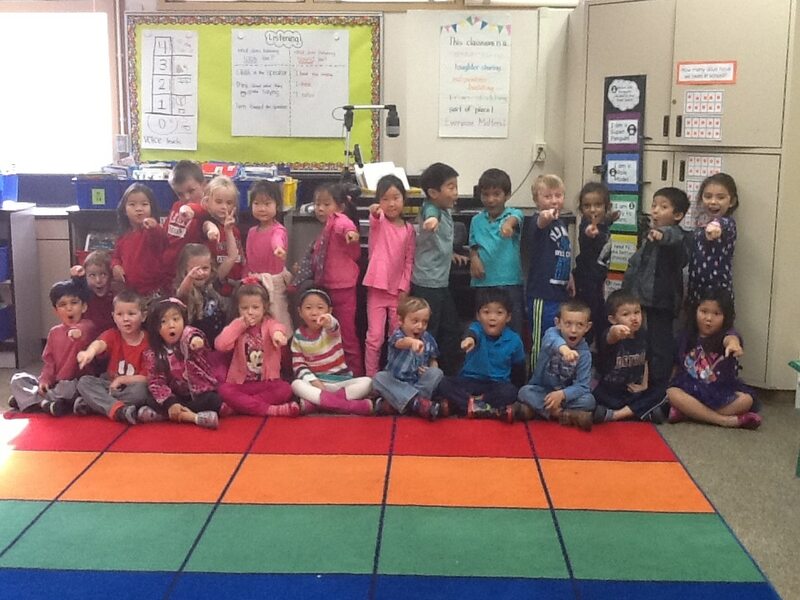 Happy New Year…..Here’s to a fantastic…..
Mrs. Amy Ju came in to speak with our class about Respect. It was a fantastic lesson of using respect in the words we say to others. 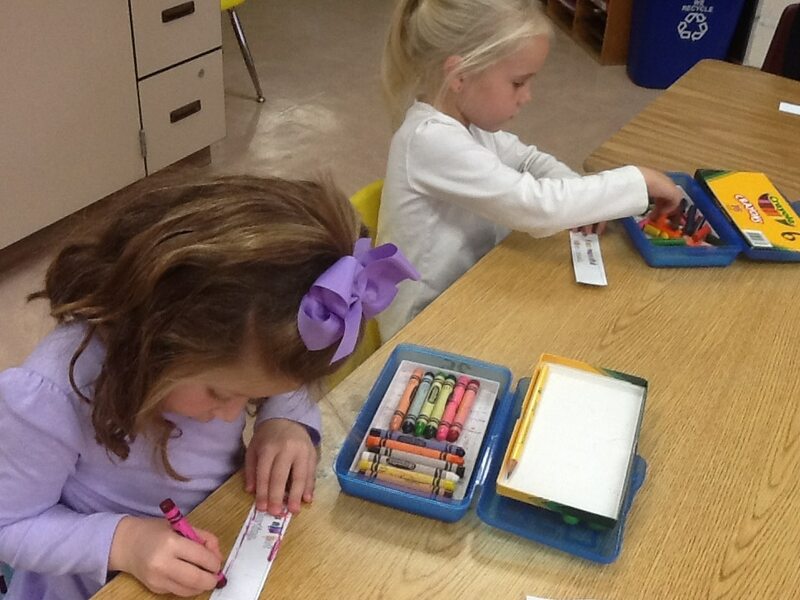 Mrs. Ju spoke with them about respect and then had them make a bookmark. The kids thought they were just making a regular bookmark as a craft, but Mrs. Ju used an analogy to explain to them that glue they were using to make the bookmark was like the words we say to others. When we say words to others, if we use unkind words, they stick like glue and we are unable to take them back. On the contrary, if you use respectful words they are often remembered and noted. 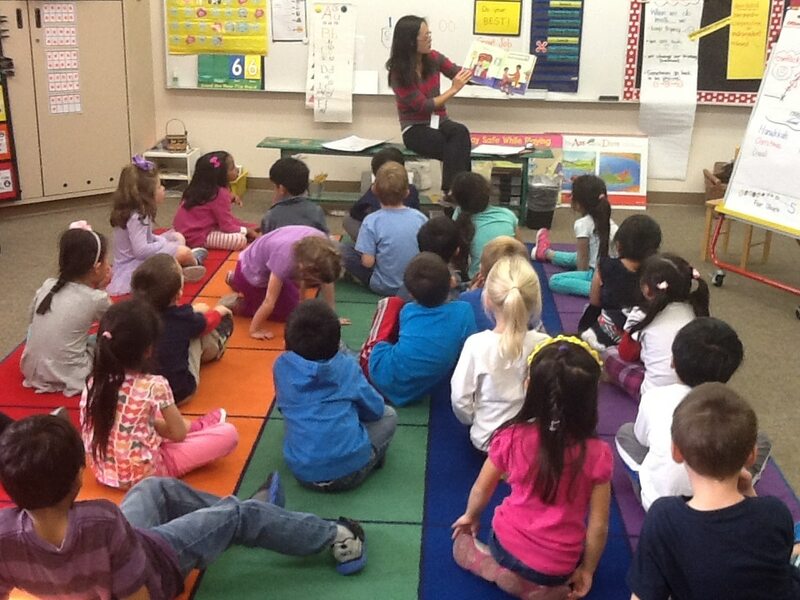 Mrs. Ju then read them a book about respect. We will continue to use this language and practice using respectful words. You can use these words in your home too, to strengthen their understanding respect and the power of our words! Our Kids Against Hunger box was collected this past week. Room 206 brought in $17.11. As a school EBS has collected $685.26. the goal is to raise $7500 as a school over this year. Our box is back in our room and has already had some contributions. We have used this opportunity to speak about others in this world that are not as fortunate as we are in that we have clean water in our faucets, and a roof over our head and all our daily needs met. This has spurred on some great conversations. Thank you for your contributions and for using this opportunity to share with children about gratitude and generosity! We started our first nonfiction unit this year. We spoke about how stories are Fiction. We thought about all the things that stories have. 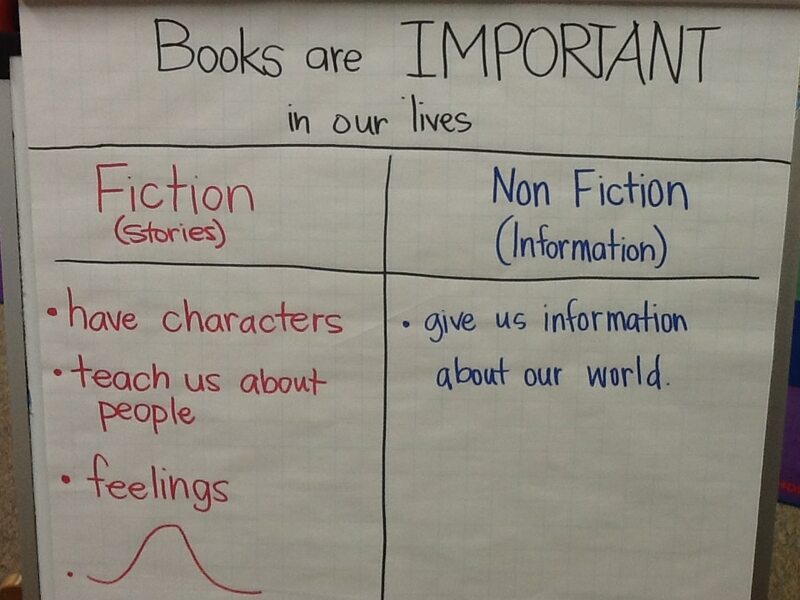 (See photo of chart below) In addition, we used that conversation as a springboard to discuss how nonfiction isn’t about characters or stories, but rather a way to give us information about our world. We are starting to look at text features (such as photographs, titles and bold print) and thinking about how they help us in understanding nonfiction texts. If you mainly read fiction at home, start to expand your home reading to both fiction and nonfiction book at home.You can still ask questions such as, “What is this all about?,” as you discuss the information in the text. Many students love nonfiction as their curiosity is so intrigued. Note about NonFiction: Over 85% of the reading we do as adults (on a daily basis) is Non Fiction and yet often in school students read a majority of fiction. We will be working to make more of our reading in class and home nonfiction. Fiction texts can be difficult as there is interpretation and inferencing, but it is equally important that as readers we are well versed in our reading of the various types of Non-Fiction. We have spent this month learning about many different traditions and holidays from different cultures and religions. We’ve learned about Hannukah, Kwanzaa, Christmas so far. This coming week we will learn about Diwali and Ramadan/Eid. You can ask your little learner what they have learned and their understanding that many people! Don’t forget this week is our Winter Celebration! RSVP to Megan Brenk if you haven’t already (mbrenk@gmail.com) so we can prepare for every guest! As it will be fantastic for us all to be with our families for the holidays, you and your sweet children will be greatly missed! Enjoy this time…take time to do all the things we don’t have time for during the busy weeks! Tell your loved ones how much you value and care about them and smile…a lot! Soak it all in! This will be our last week of homework until 2015 as we will not have any homework over the break. Make it count! What is the best way you can give to others? 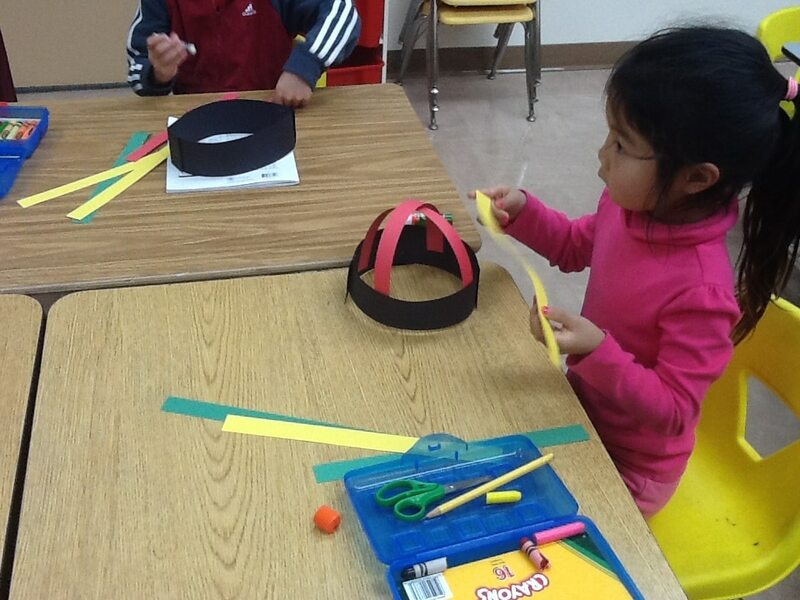 (with Kindergartners we worked on orally answering in a complete sentence). Take a peek as what you little cutie said in response to our question. PE with Mrs. Blower…wear Tennis Shoes! We have been working a lot on listening. We listen for many reasons, but one important reason we listen is to have conversation. In order to be part of a conversation (whether it is with one other person or a group of people) you have to listen to what others are saying so you can respond back. We have worked very hard on some behaviors and words to help us be a valuable part of conversations. In class we often have time that is “turn and talk to your partner or partners” to tell what you think? We are checking to see if partners are actively listening and remembering what their partners are saying. What does listening LOOK like? …listeners are turned towards the speaker (whoever is talking), looking at the speaker and most importantly are thinking about what the speaker is saying. 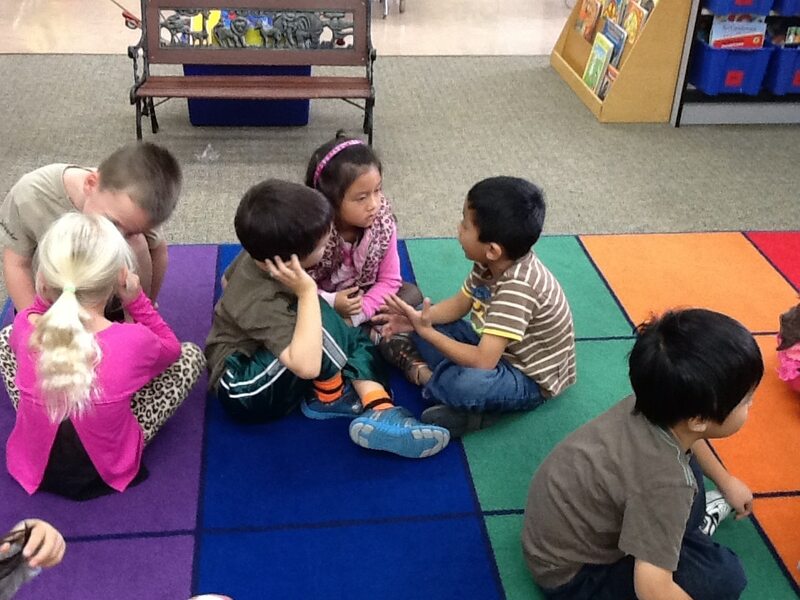 Having partner-talk helps to get more students involved and engaged in the collaborative conversations. 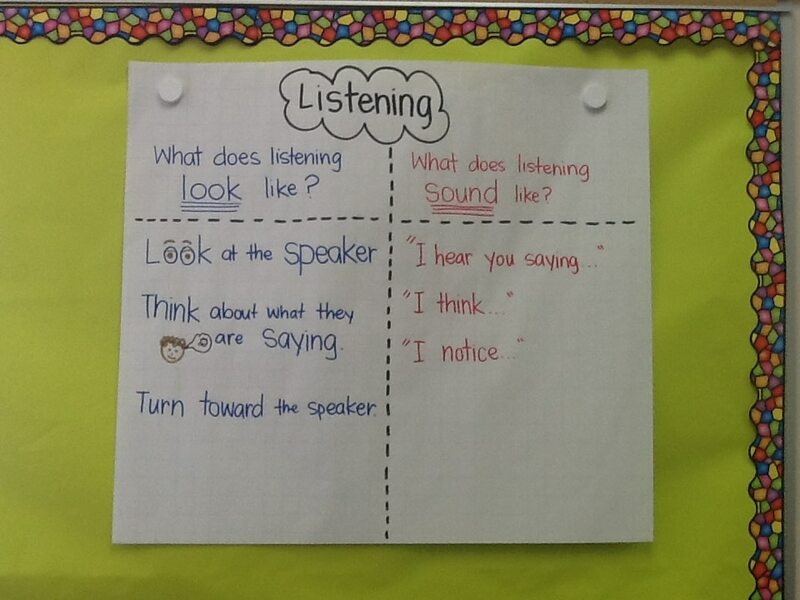 We also discussed what listening SOUNDS like? …as listener when you respond with “I hear you saying….” or “I think…” (with a relevant response that makes sense with what the speaker was speaking or asking about). Try these cues and behaviors on at home and hold your child accountable to looking at who is speaking and you might even hear some of the cues in your house to show they are listening. We will be adding to these lists as we find more ways that we can hear and/or see listening! You will be receiving a permission slip this upcoming week regarding the EBS Martin Luther King Parade . We will be marching as a school and a class. Each class will have a poster or banner to show something they believe in and want to stand up for. if you or your family would like to join us, just let me know! The date of the parade is on Friday, January 16th, 2015. This is a new tradition that EBS is starting and we hope you can help us in our inaugural walk! We are marching up to the Rec center at 11:15 am and plan to be back before TK dismissal. Put this in your calendar and return the permission slip this week. Rainbow day didn’t turn out to be a rainbow after all, but a red/pink and blue/purple day! 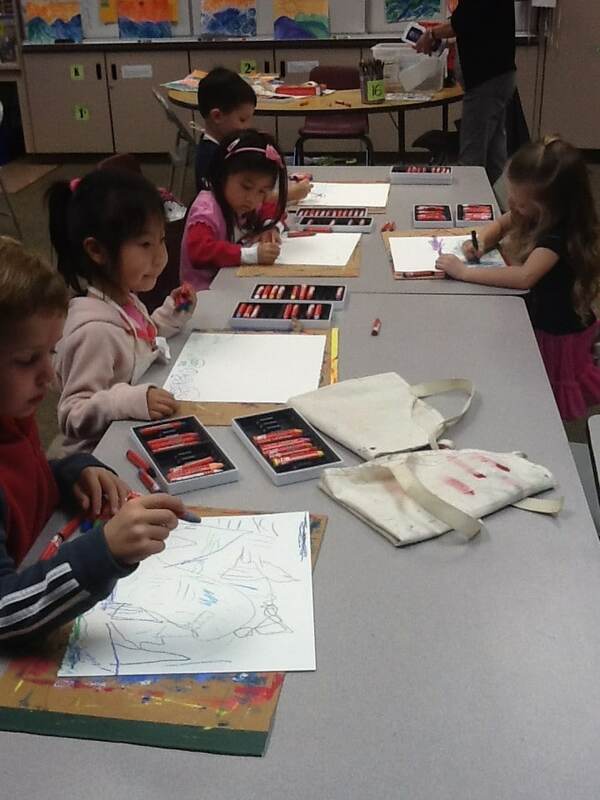 It was very cute nonetheless and I loved seeing the children express themselves by wearing their favorite color! I spoke with you all about these at Parent Teacher Conferences. These are essentially the attributes of a great mathematician. I am putting a link down below where you can read more about these. One of the beauties about these is that they are K-12. 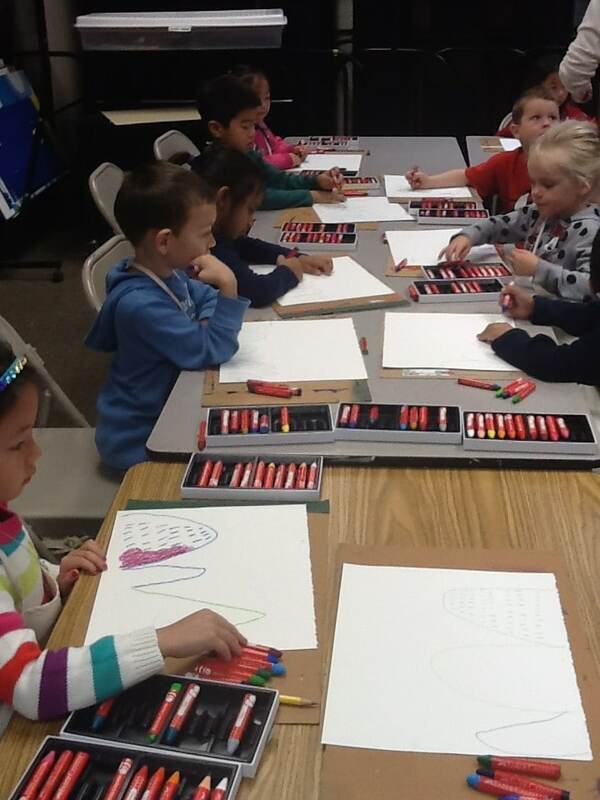 They will be continually built on for years to come throughout your child’s educational journey. The language will be come familiar to your child and more importantly the practices will become part of your mathematician’s qualities as a thinker and collaborator! We use many of these daily when we do our math problem of the day. These are similar to the family math problems on the homework. We use everyday life stories to create the math problems and use tools, perseverance and precision when solving and showing our thinking to others. See the link below to learn more. We have been learning the lyrics and song to Frosty the Snowman. I’ll be sending the lyrics home to practice at home. Try singing them in car or while you are getting dressed for school or bed to practice. 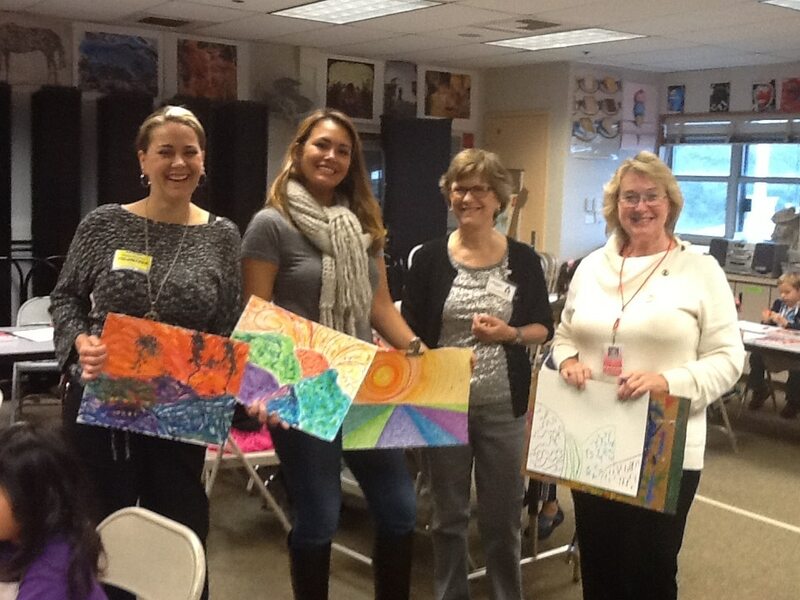 Our awesome Fine Artists Team set up an amazing Art Lesson for us! I absolutely love how every artist’s creation comes out so unique! 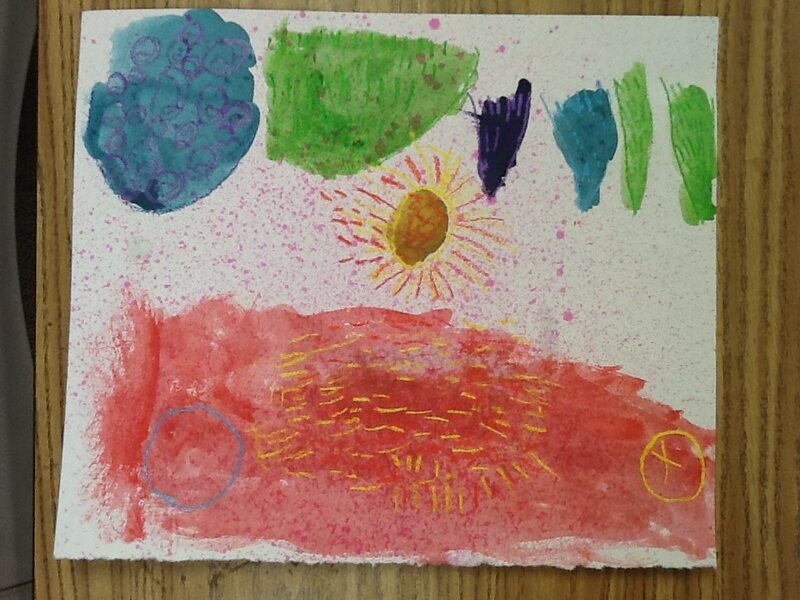 This lesson was focused on Vincent Van Gogh. 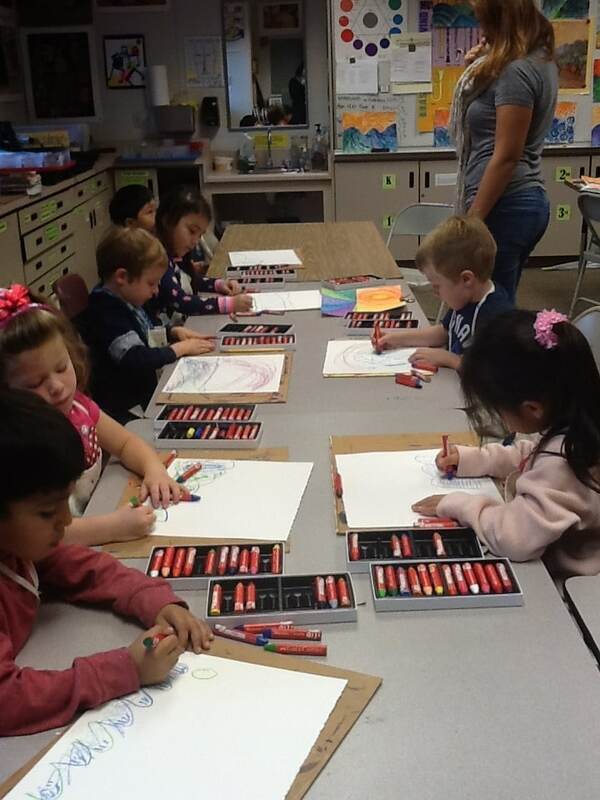 The students learned about warm and cool colors using special Beeswax Crayons and Watercolor. 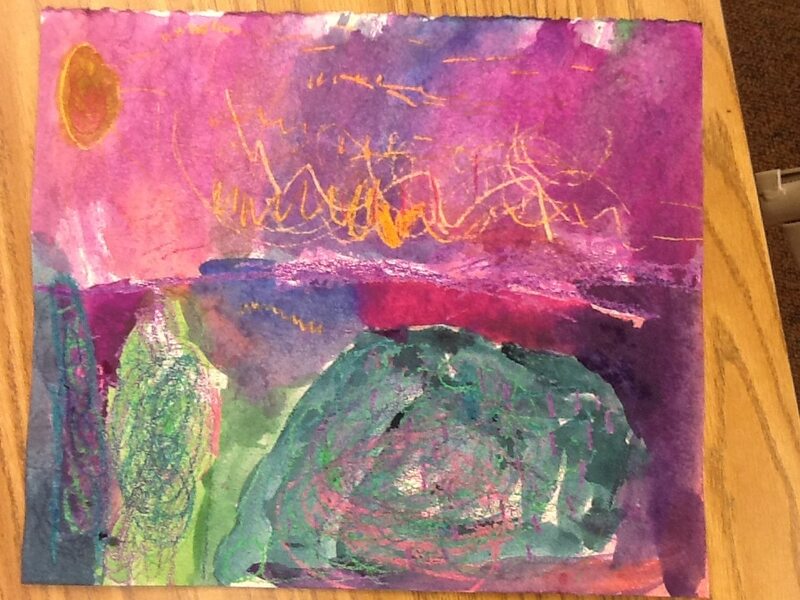 They drew hills, and Olive Trees with beautiful Sunsets in warm colors. Your children are talented! New and improved…the paper envelopes were getting torn apart, so we have moved on to Gallon-sized ziplocs. If you haven’t already, return your old paper envelope for a new bag to transport books from home and school. We had such a good time at our Halloween and Thanksgiving parties we having another 206 Festivity! Put the date in your calendar now so you don’t miss it! PLEASE RSVP to Megan Brenk … mbrenk@gmail.com so we can prepare for the number of people attending. Thank you in advance! EBS is having one of its annual Pajama Days on Friday the 19th. Have your child dress up in a pair of their loved PJ’s. You might even come in a pair of your pajamas too, I’ll be in mine! Make sure they are wearing shoes (no slippers). *Please note this is a half day and the same day as our class celebration. These cute little minds hold more info that we can imagine and think in a way that we don’t fully understand. For this reason, I thought it would be fun to hear their thoughts on certain topics. Look at your child’s number to see his/her response. This week, during writing time, I was telling my own story that I write about (I model with my own story and writing before they go off to do their own) which involved some Black Friday shopping. After, they all went off to start their own writing pieces, one student came up to me and said, “I know what Black Friday is.” When I responded with, “Oh, what is it?” The response was, “Black Friday is when there is money left, and Red Friday is when there is no money.” This little one had a lesson from Grandpa (so I’m told) about being in the red or in the black for end of the year finances! So adorably cute! Extra PE …wear Tennis Shoes!